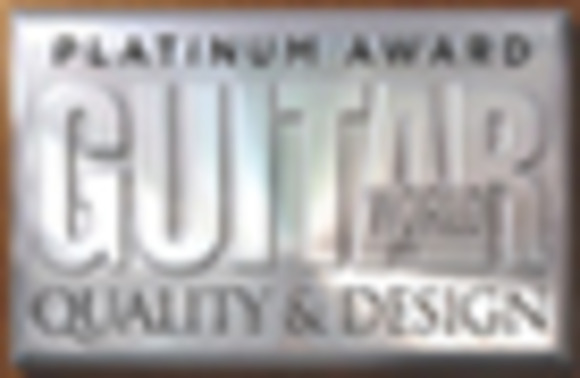 SALT LAKE CITY, Utah -- Building on its reputation for developing supreme delay pedal technology, DigiTech, a Harman International Company (NYSE-HAR), has received the prestigious Platinum Award for Quality & Design from Guitar World magazine, the publication's highest honor. Guitar World praised the DigiTech TimeBender for its "exceptionally intuitive design and stellar sound quality." Unique to the delay pedal category, the TimeBender not only allows users to input the tempo of their delays, but also allows patterns to be strum and set to the repeats based on the desired rhythm. The pedal also produces intelligent harmonies on the repeats and offers 10 delay types including, two tape delays, full-time modulation and a 20-second looper. "Receiving the Platinum Award from Guitar World is a true honor as we put tremendous effort into ensuring our products match musicians' highest standards," said Jason Lamb, marketing manager for DigiTech. "DigiTech looks forward to continuously bringing the next level of high-quality on-stage and in-studio performance equipment to dedicated musicians." According to the official announcement of the award, the TimeBender is, "a rack processor in a pedal's clothing... it takes delay into a new realm that previously was only available on players with expensive rigs and the patience to program custom effects." DigiTech is a unit of Harman International Industries, Incorporated (www.harman.com). Harman International designs, manufactures and markets a wide range of audio and infotainment products for the automotive, consumer and professional markets, and maintains a strong presence in the Americas, Europe and Asia, employing more than 11,000 people worldwide. The Harman International family of brands includes AKG®, Becker®, BSS®, Crown®, dbx®, DigiTech®, Harman Kardon®, Infinity®, JBL®, Lexicon®, Mark Levinson®, Revel®, Soundcraft® and Studer®. Harman International's stock is traded on the New York Stock Exchange under the symbol "NYSE: HAR."